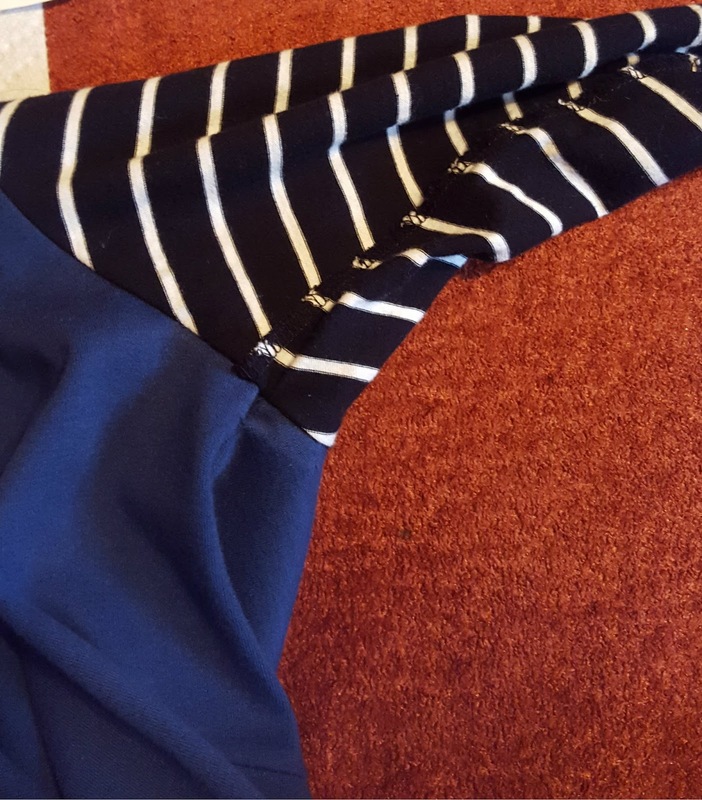 I sewed one of the sleeves on correctly and the other one inside out. Meh, it happens, not a big deal, just get the seam ripper. After ripping said seams, I reattached. I did it again. 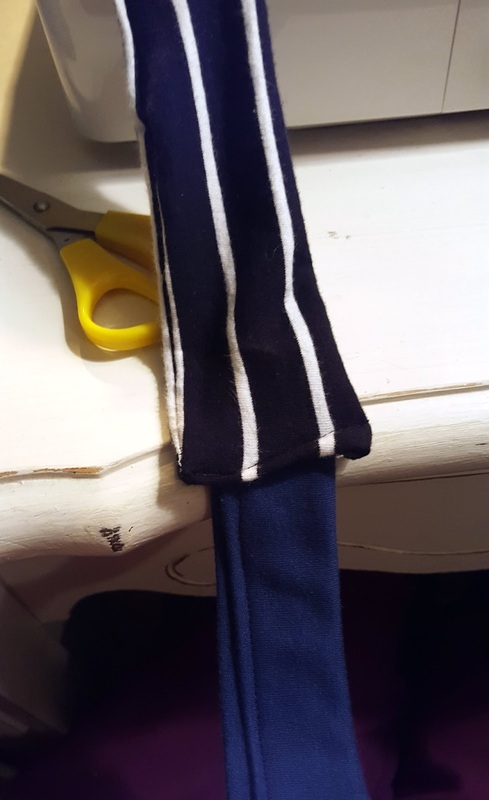 I sewed the sleeve on inside out twice. It's obviously destined to be like that, so that's how it's gonna stay and I will learn to like it. 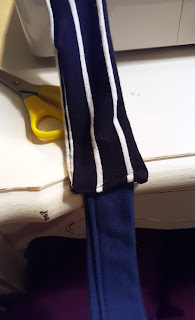 At that point, I figured that I may as well make a wonky asymmetric belt to go with it. Thanks for looking! For the full post in all its glory, check out my blog Craft, Thrift, or Die. I agree! I find myself addressing stuff wrong and cursing out loud when I realize my mistake. 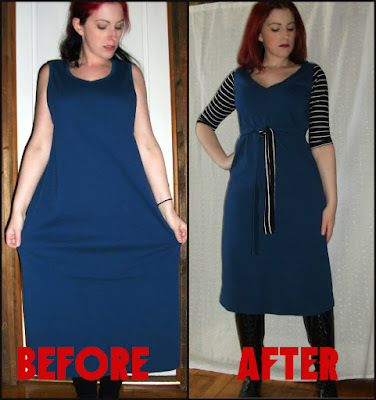 Great refashion. ... ;-) bet quite some so called 'New Fashion Ideas' originally startet even off with mistakes of already 'dare-devilish-playfull ones' - just as some cooked dishes probably 'coincidentally' got invented due to either mistakes, lack or even over-surplus of goods. Sorry, joining into the 'giggle-chorus' BUT with both 'hi5 hands' = welcome in 'The Club' ! 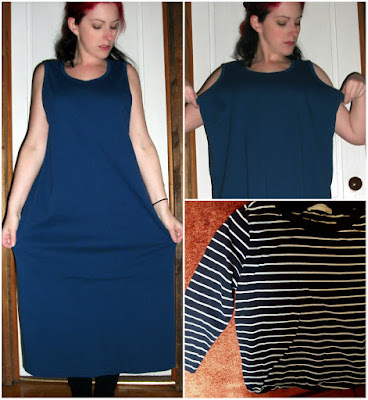 loves the idea of the refash - especially since it's at times hard to get some dresses with sleeves at all out here :-o ! 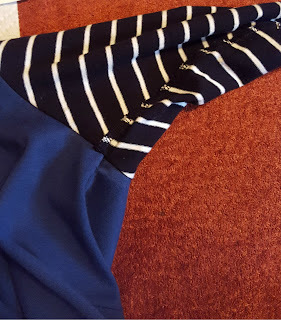 Anybody that sews knows their seam ripper is almost as important as their sewing machine. 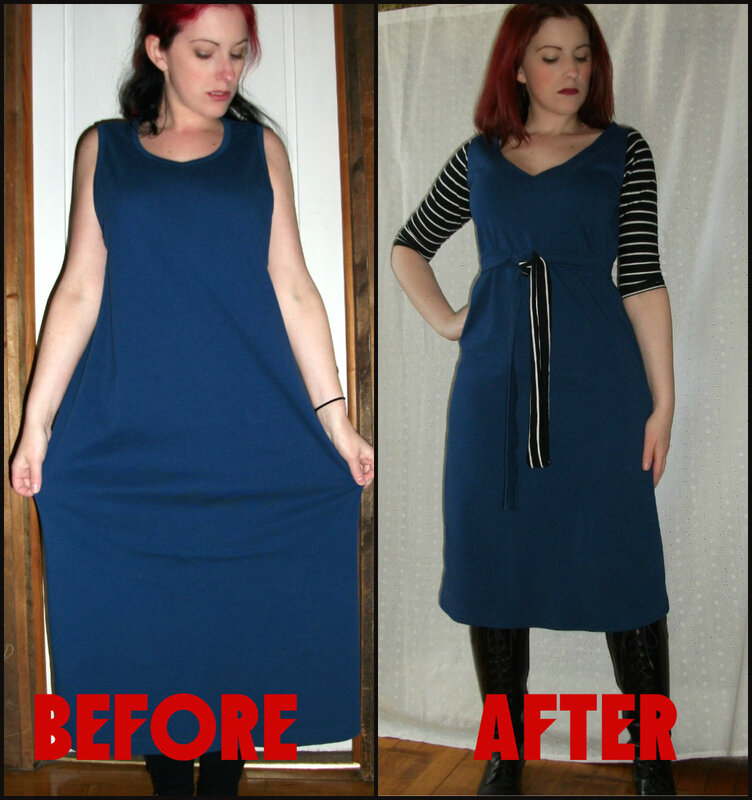 :-) Nice refashion. I like this post! Thank you for sharing an awesome fashion idea. I love your dress!